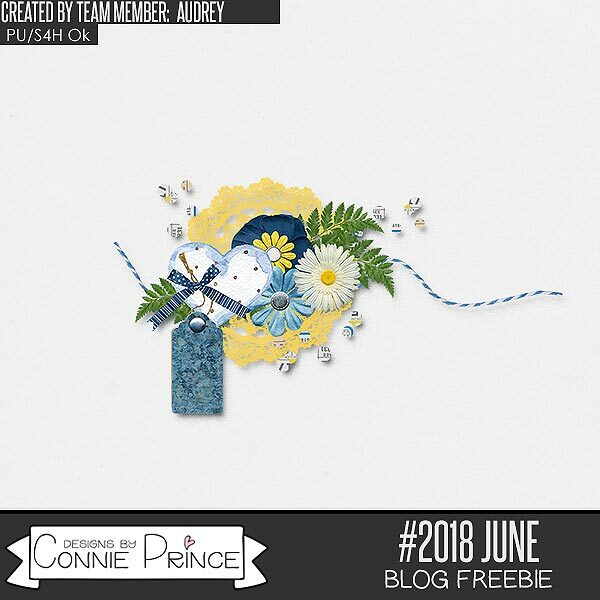 Connie Prince Digital Scrapbooking News: Monday's game winner, sales and a freebie! Monday's game winner, sales and a freebie! I hope everyone is ready for the holiday week! Let's congratulate Laurie Q! You won last week's game! Connie will be emailing you shortly! There will be another chance to win on Wednesday! Come back and play! Celebrate the coming of a new month with the newest installation of the #2018 series! And don't forget the Buffet at Gingerscraps is 50% off!